Purchase the black PET cosmo rounds in bulk for the greatest savings. 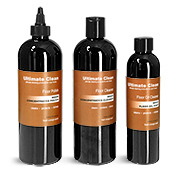 To view the compatible closure options for these plastic bottles, click the Add-ons button below. 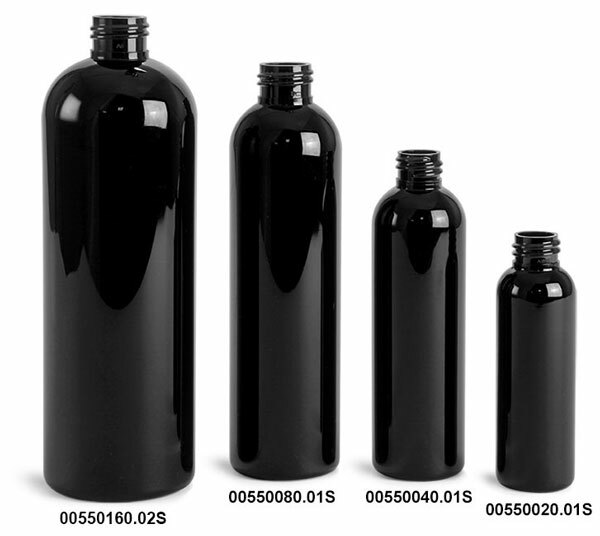 These black PET cosmo round bottles range in size from 2 oz to 16 oz and come with black polypropylene twist top dispensing caps. To expose the cap's orifice, twist the tip counterclockwise. 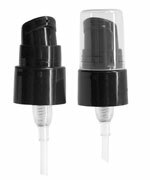 When not in use, close the cap by twisting the tip clockwise. 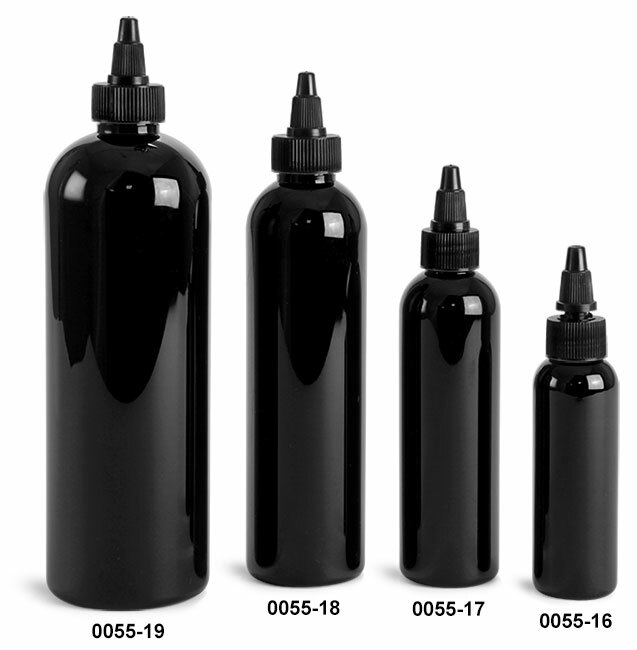 Consider using these black plastic bottles for packaging inks, glues, adhesives and more!